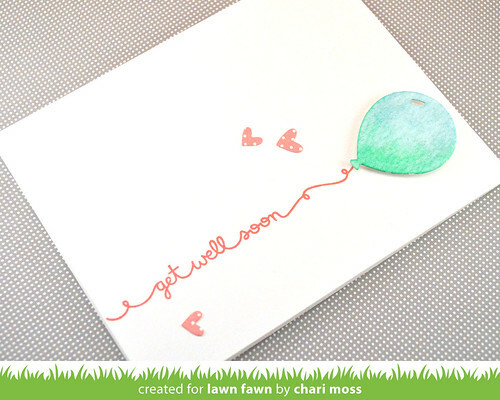 I'm back again with another post for Lawn Fawn Inspiration Week. Today we are featuring the new sets Scripty Sayings and Flirty Frames. All the new products will be available for purchase on Thursday February 19th. My first card is a very clean and simple card. I thought the scripty sayings would be cute as a balloon string. 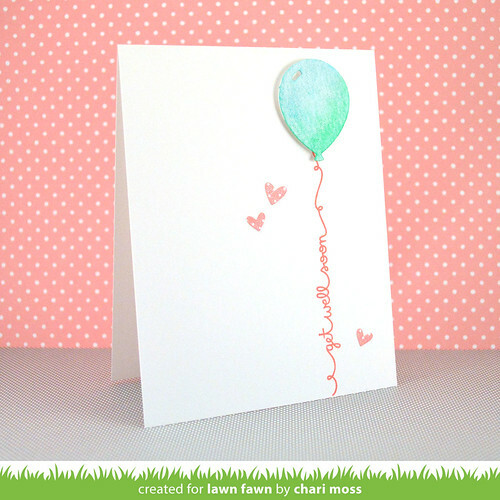 I stamped the sentiment with Wild Rose Lawn Fawn ink and cut the balloon from watercolor paper. The balloon is colored by watercoloring with cracked pistachio and tumbled glass ink. I also added some clear wink of stella glitter over the entire balloon. 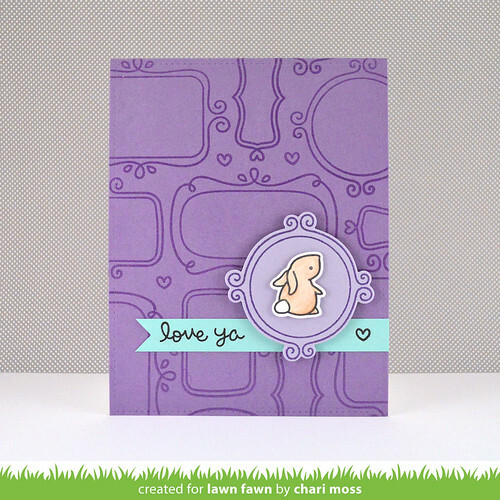 For this card I clear embossed the flirty frames on the background panel to create a tone on tone look. The little bunny is colored with colored pencils and fits perfectly in the round frame. Great idea to use the scripty sayings as ballon string. Love it! Love the Scripty saysimg with the balloon & hearts! Beautiful cards. The bunny is so sweet. Oh my goodness I saw a video earlier this evening with the flirty frames and the card was amazing. I love both of these sets. 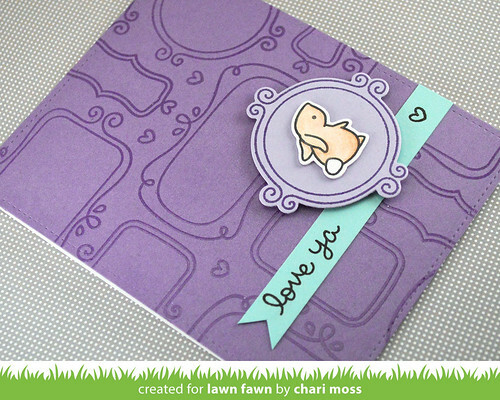 I really like the little bunny and the flirty frames. So cute! Great cards. Love the scripty sayings with the balloon. Love the scripty saying as the string so fun! How cute is that having a script balloon string love it .... would make it sadder to lose it so hold on tight.